Rob Roche brings a diverse athletic training background in pro football and collegiate athletics to the Vikings as an assistant on Eric Sugarman’s staff. Roche enters his 13th season with the Vikings in 2018 and assists with the evaluation and care of all injuries sustained and helps implement proactive treatment and rehabilitation programs for the athletes. Roche was a season-long intern with the Philadelphia Eagles in 2000 and during 2003-05 training camps, where he worked with Sugarman and Vikings assistant Tom Hunkele. Before joining the Vikings, Roche spent 2001-06 working as an assistant athletic trainer at Swarthmore College where he provided medical coverage for the NCAA Division III program. Along with athletic training responsibilities, Roche was an approved clinical instructor for athletic training students. 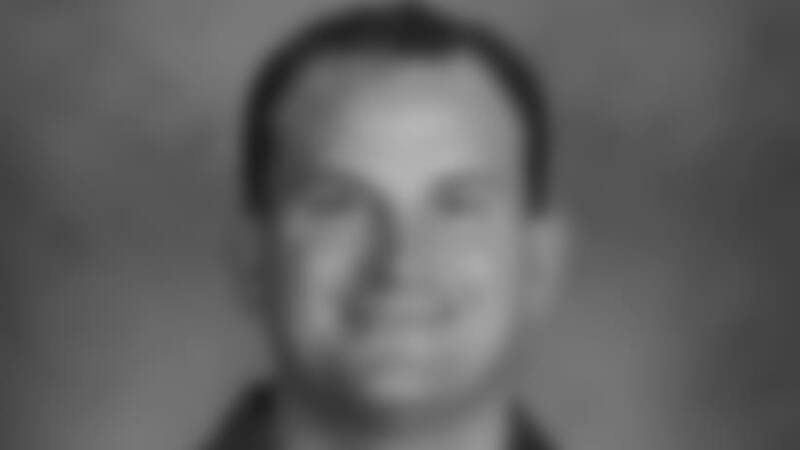 Roche earned his bachelor’s degree in health and physical education with an emphasis in athletic training from West Chester University in 1998. During his undergraduate tenure, he served an internship in athletic training at the school working with the football team. Following his graduation, Roche transitioned to the University of Illinois to earn his master’s degree in kinesiology where he served as a teaching assistant in the kinesiology department and was a graduate assistant in UI’s Rehabilitation Education Services. He earned his MS degree in 2000. During Roche’s stint at Illinois, he was first exposed to the NFL as a training camp intern for the Chicago Bears in 1998 and 1999. His experience in pro football continued in 2000 when he was an assistant with the Frankfurt Galaxy in NFL Europe and in 2001 with the World Bowl IX champion Berlin Thunder. Continuing his education through experience, Roche volunteered for 2 weeks in summer 2003 with the U.S. Olympic Committee in Chula Vista, CA. Roche is a member of the National Athletic Trainers’ Association and the USOC Sports Medicine Society, has served on the Executive Board of the Pennsylvania Athletic Trainers’ Society, is certified as a Performance Enhancement Specialist and Corrective Exercise Specialist by the National Academy of Sports Medicine. In 2013, the Vikings staff was recognized with the Excellence in Aquatics Award by HydroWorx in honor of their progressive use of aquatic therapy. The Vikings staff was honored by their NFL peers as the Athletic Training Staff of the Year for 2017 as part of the annual Ed Block Courage Award gala. Roche, a native of Tamaqua, PA, and graduate of Marian Catholic High, is married to Melissa. The couple resides in Chaska, MN, with their sons, Patrick and Cameron.